"Speaking about non-legitimacy of the government of Maduro, frankly speaking, the self-proclamation [of Guaido] is the same or even more non-legitimate … I will not comment on Guaido’s arguments in support of his self-proclamation … But they do not correspond with Article 233 of Venezuela’s Constitution, which he refers to", Novoa said. Given the situation in Venezuela, where there are "two presidents," Uruguay believes that holding a presidential election would be the only solution to the crisis, Novoa added, noting that Uruguay "was not setting forward any conditions". In January, Guaido proclaimed himself the country’s interim president, contesting Maduro's re-election last May, and was immediately recognised by the United States and a number of other regional states, while Maduro has been backed by China, Russia and a number of other countries as Venezuela’s only legitimate president. A number of EU member states have also individually recognised Guaido as Venezuela's interim president after the country's authorities failed to organise a new presidential election in the country within an eight-day period. EU countries were also expected to issue a joint statement recognising Guaido, however, Italy vetoed the motion. Maduro has lashed out at Washington over its policies toward Caracas, suggesting the United States is seeking to take control over Venezuela’s oil assets. 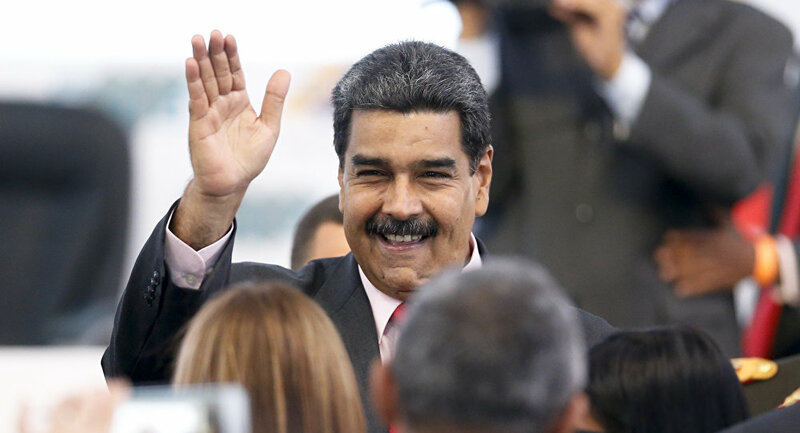 Maduro has also accused Guaido of acting on instructions from Washington.